The Authority Group post-productions are composed upon the Final Cut Pro System and Avid HD Digital Video/Audio upgrade. Each system provides non-linear, non-destructive editing of any QuickTime compatible video format including HD Cam, HDV, and Film formats. 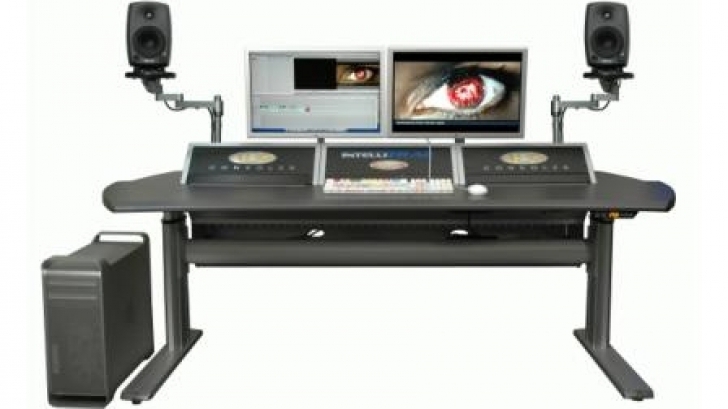 The two systems support a number of simultaneous video tracks with up to 99 audio tracks, and multi-camera editing for combining video from multiple camera sources. They come with a range of video transitions and a range of video and audio filters, and mattes. Each system also has a manual 3-way color correction filter, video scopes, selection of noise reductions, and sound sweetening. According to a SCRI study, Final Cut Pro made up 49% of the U.S. professional editing market, with Avid at 22%. A published survey by the American Cinema Editors Guild placed their users at 21% for Final Cut Pro (FCP), while all others were still on an Avid system of some kind. Both systems are used at ABC-TV, CBS-TV, FOX-TV, NBC-TV, and leading video/audio production companies nationwide and worldwide.